UK Based self claimed human rights defender part of undercover network terrorizing Betty Makoni using the internet and Google -creating false stories and Google picking up and creating a scandal section online. But does Google know the work that Betty Makoni did and currently does is not scandalous. Saving lives of tens of thousands of girls raped in Zimbabwe and giving them a life is not scandalous at all. For over a decade now, Muzvare Betty Makoni was persecuted for speaking out on behalf of the powerless. Better still the man who exposes evil on FB from Zimbabwe recently exposed Vio Mak confirming Muzvare Betty Makoni story`s story that she is indeed part of a wider network operating undercover for Zimbabwe government. At face value with all her music and calling herself a human rights defender one gets impression her name and what she actually does is same. Not at all. The woman works to destroy human rights defenders and sending false information via internet and especially via social media and her many bogus news online websites. 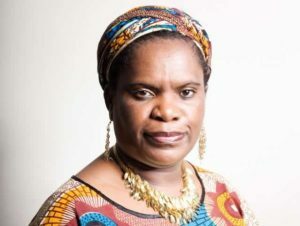 Now that Muzvare Betty Makoni is not the only who has exposed this woman, the UK government must do all it can to protect human rights defenders and their work. Vio Mak is exposed and the honorable thing is for her to stop persecuting Human rights defenders. UK government granted her asylum and they must now think what protecting such a woman can do to human rights defenders. For the past three years, Betty Makoni has been persecuted by an undercover syndicate led by a woman who parades as a human rights defender and uses pseudo name Vio Mak. Her hate speech, bitterness, jealousy is directed to any Zimbabwean she perceives to be successful. Many times this woman has used many false news websites most of which are designed by her husband educated by President Robert Mugabe scholarship in Cuba. Details and pictures of this man will be shown on many websites soon. What happens in a cyber war is that someone generates defamatory articles against you as a way to stop people from supporting you or portray you as an enemy. Then people open the article and it goes up on Google. Once it goes up on Google anyone who Googles you they first read the defamatory articles and get put off. But as for me I carefully studied everything with help of many behind the scenes and then I realized that Vio Mak and her many websites generated these articles and made sure they are up on Google. If you Google my name you will find Vio Mak presenting me as a thief or fraudster. I don’t need to be defensive only to say whatever she does or says, I will keep this work going. In 2008 when these articles started going round I was not aware I am a targeted human rights defender but now I know Vio Mak has been working full time. Now that I know let her be warned she can trick millions but a few that work with me will stay. These cyber wars need those who trust and work with you. Do you still remember the C.I.O guy who was based in Pretoria Sheppard? He has now shifted to Joburg after an alarm was raised on Gunda Nleya Brigade. I’m warning the all political activists who are in South Africa to be aware of a Black Navara XSK 124 GP which has got 4 people in it ready to execute anything as per the final decision of the Big 4 . SHEPARD has been joined by Cecilia Kwangware, Tatenda Duri, Angela Chiutsi a student at (MSU) and Nkosinathi Ndlovu respectively under Rubson Muchini orders. Their orders are clear ,1 is to take out the all MDC strong holds who are being said to have big eyes and nearly revealed the truth in the last election sending results from Joburg , 2 to warn the Bishop of the Joburg Central Methodist Church who are holding rallies in their church chanting MDC slogans with their so called refugees, 3 find the BBC news reporter Andrew Hardings who was the first to pick up Baba Jukwa and according to them he interviewed Baba Jukwa live personally and ask him the details about. This group as l’m speaking about is already in Joburg and have already started their job ,they will be moving in and around Joburg with the assistance of Brenda Ruzive a South African based Zanu pf supporter and they always have their meals at his place in Randburg , they have also the assistance of CIO in mask who claims to be a human rights defender by the name Viomak who is claiming to know who Baba Jukwa is and his team in Joburg , a human rights abuser and Zanu pf supporter Viomak should stop sending the names she is sending to those whom she claim to be abusers of human rights if she is not one of them let us wait for tomorrow and see what Bob will suggest. Also coordinating with these evil people from the church base is their secret mole Godfrey Charamba who has contributed to the death of our fellow brothers in the past eight years from his church base where he masquerade as a refugee but taking orders of taking out refugees with help of operatives operating illegal in South Africa. Godfrey Charamba can be contacted on 0733376334, ask him why he is killing vulnerable people and why is he planning to help take out the Bishop as they nearly abducted him three days ago but failed due to the fact that the mission was called-off after some of our Vapanduki guys moved in speedily after noticing the Navara guys who were using a grey Discovery waiting to pounce on the Bishop. Meanwhile, Operation Bhora Musango is intensified now and we welcomed more than 100 000 people over the weekend. Together we will achieve a new Zimbabwe. One out of eight websites Vio Mak uses with false addresses and name is as follows.